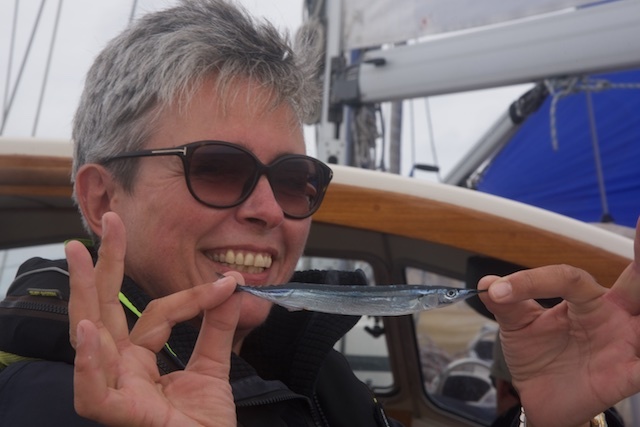 After having had fun with my J/88 on Lake Lucerne in Switzerland for some years, I got a „real“ taste of sailing when I was on the Canary Islands in November 2016. Yes, I wanted more! After the Yachtmaster Theory Course with Leon in Malta in January 2017 I passed the exam for the Ocean Yachting Certificate (“Hochseeschein”) in Switzerland. Such a certificate alone does not yet make a good skipper, obviously, so the next logical step was to find the best teachers I could get for my practical sail training! Fortunately I got the opportunity to sail two legs on Regina Laska and three legs on the HR342 I Dolci. Further to these, I also sailed on some other boats this summer as well. What I found out was that if I’d ever buy a boat for ocean sailing, it would definitely be a Hallberg-Rassy for sure! There is nothing like a Hallberg-Rassy! 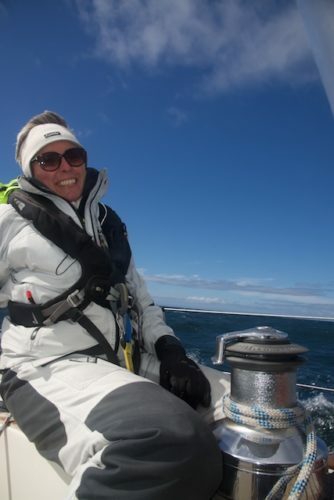 Both Regina Laska and I Dolci are outstanding examples of what sailing in safety, comfort and style really means! 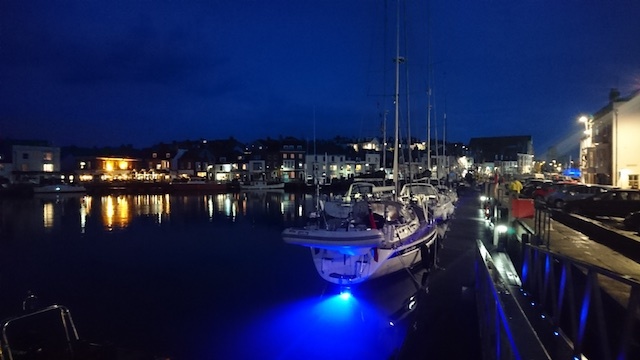 During my sail training weeks, I have learned so much about navigation, passage- and pilotage plans, risks and dangers, manoeuvres, safety, technical equipment, boat maintenance and life on board. We were experiencing adventures and had a lot of fun together – and I have found new friends at the same time! 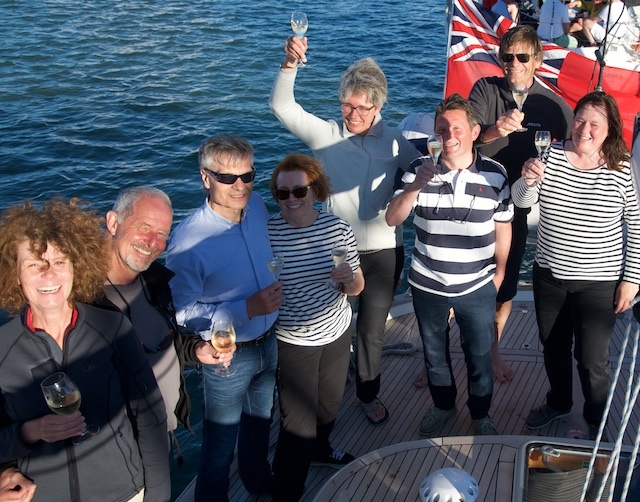 The Reunion of Reginasailing Yachmasters in The Solent with me hoisting the glass for my own sailing future! 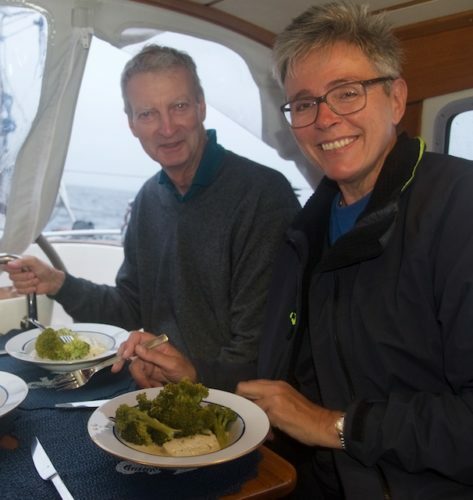 Besides all the training, there was also time for sightseeing (I will never forget our bicycle tour on Ouessant), and, of course, we enjoyed excellent meals on board (Leon and Kurt are the best cooks in the world!) 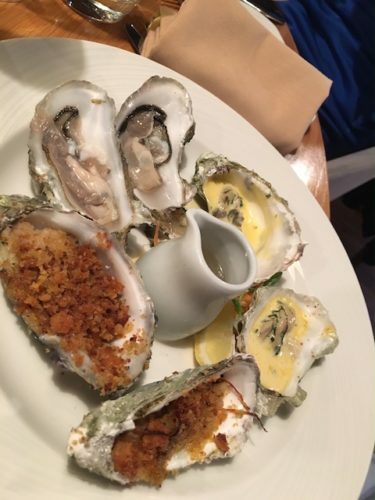 as well as in various well-selected Restaurants. 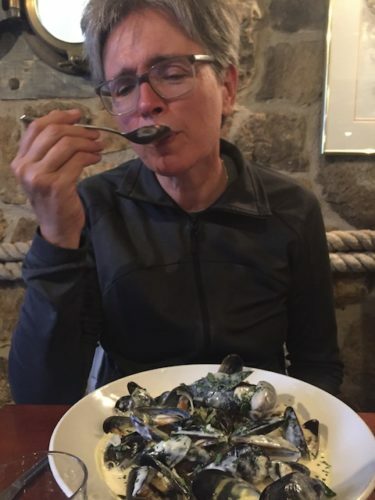 Delicious mussels in Weymouth, England. 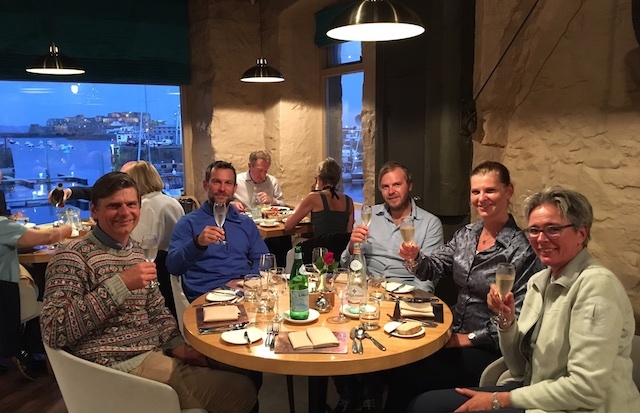 The great restaurant “Le Nautique” in St Peters Port, Guernsey, Channel islands with the Regina Laska crew. 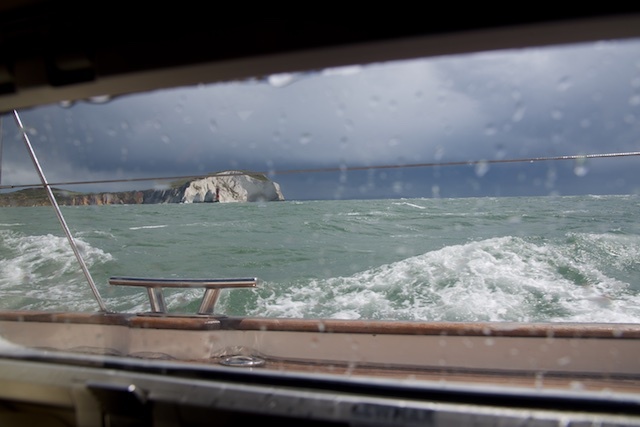 We sailed in The Solent on the south coast of England (yes, I found Bramble Post at night! ), the Channel Islands (so many rocks and marks and therefore bearings to be taken!) and along the coast of Brittany (how far can you get in 6 hours?). We crossed the English Channel no less than three times under most various conditions (even in thick fog, which was scary…!). Me taking Regina Laska into Cherbourg , France. We „rushed“ through famous passages such as The Needles or Alderney Race several times. 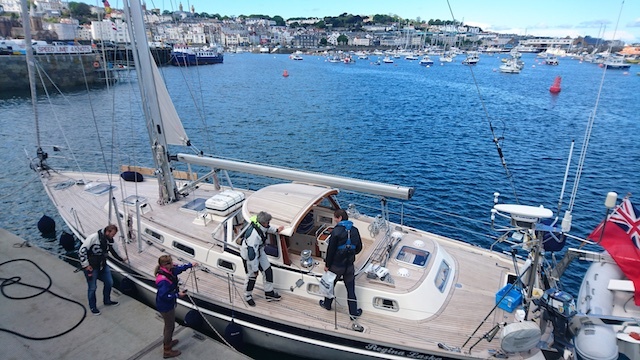 Believe it or not: You finally make friends with tides and currents and even start to enjoy the magical moments of wind over tide – you just need to practice, with a safe boat and a good teacher! The Needles as seen from the boat. It’s vital to play the tides correctly for sure! 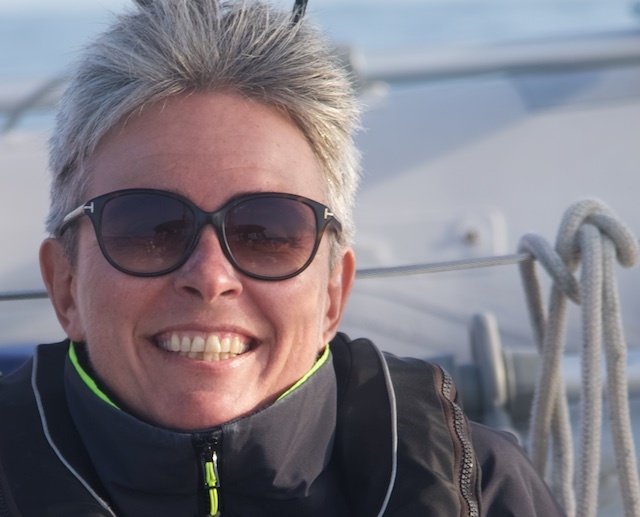 My highlight of this summer of 2017 was the 660 nm RYA Ocean Yachtmaster qualifying sail training leg on Regina Laska from Spain to Ireland, crossing the notorious Bay of Biscay. We had great winds (well, the direction could have been more comfortable sometimes…) and the waves were not too big either. It was just perfect! 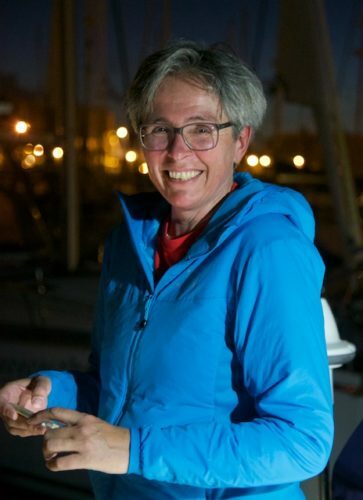 Being on the ocean for several days was my strongest sailing experience to date: my life was reduced to sailing, taking care of myself, feeling responsible for the crew and the boat. 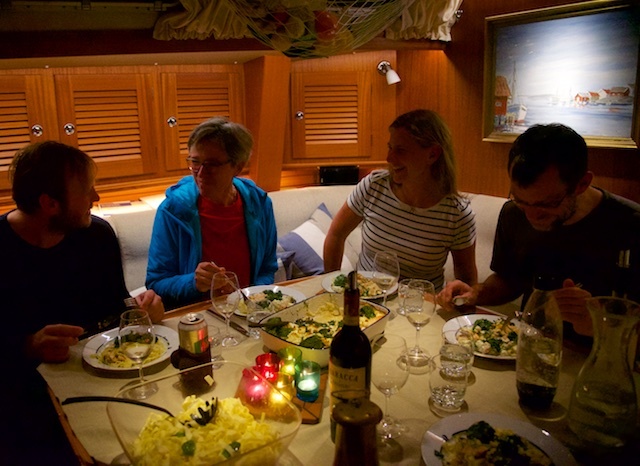 Dinner in the middle of the Bay of Biscay with four thousand meters of water under the keel! My mind settled, I became calm and I was completely happy just sitting on the coaming of Regina Laska’s cockpit for hours and hours! – Sometimes even in rain, riding the waves with this incredibly strong and peaceful creature named Regina Laska. She made me feel so well protected! Since I have been a shepherdess in recent years, watching the endless number of white caps on the ocean suddenly reminded me of herding my sheep. This also filled me with peace and serenity. Unforgettable moments of total fulfilment. I could have gone on forever like this! 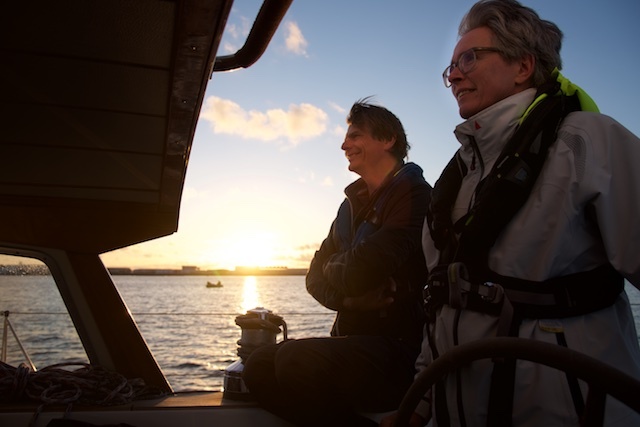 For sure, sailing has definitely changed my life – and sailing with my teachers Leon Schulz, Anita de Bruycker and Kurt Cortier has accelerated this process of change dramatically. 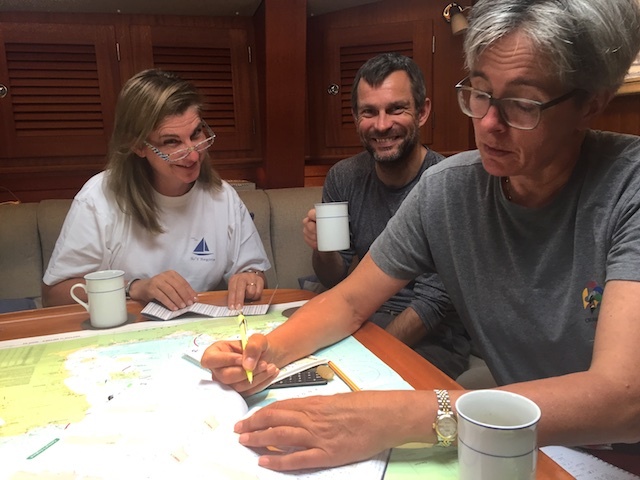 I am so thankful for these weeks of „personalised sail training“: On Regina Laska we were a small group of 4 crew members plus our skipper and teacher Leon who was incredibly present and aware at any point in time. Teaching, discussing all kinds of questions with us, preparing manoeuvres, checking the weather and many other things, plus joking and having fun – and cooking great food, too …. 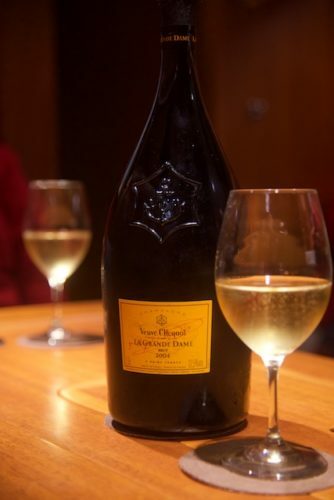 Celebrating the successful crossing of the Bay of Biscay in Ireland with a 2004 vintage La Grande Damme Champagne by Veuve Clicquot. 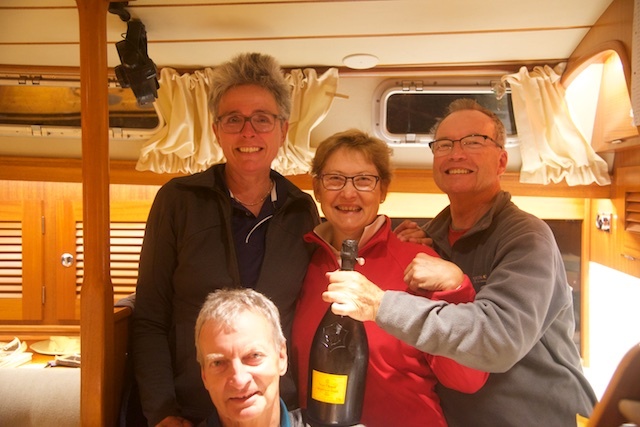 On I Dolci I was the only student with two RYA Cruising Instructors Kurt and Anita. They were permanently sharing their experience and knowledge, offering as many personalised learning situations and „units“ as I wished, of course always under the main aspect of maximum safety. While Leon, Kurt and Anita never got tired to answer my million questions, they encouraged me to move on and on, getting closer to my dreams. I am full of memories and sensations of wind, waves and sun, clouds with and without rain, tides and currents, endless coasts… I must say: this planet is so beautiful!! Thank you so much, Regina Laska, I Dolci and Crew, for your company on this journey. 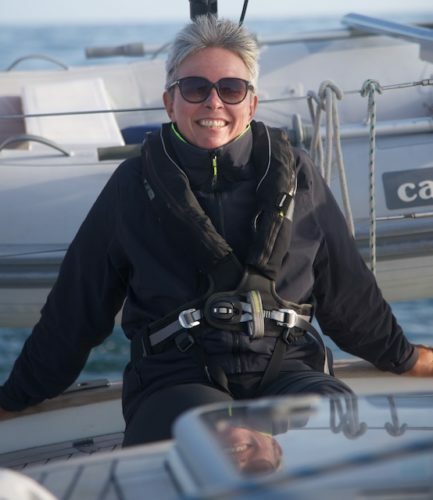 Marianne Karlsen, Switzerland, sailing Leg 3-2017 from Lymington to the Channel Islands and back as well as Leg 9-2017 crossing the Bay of Biscay from Spain to Ireland. 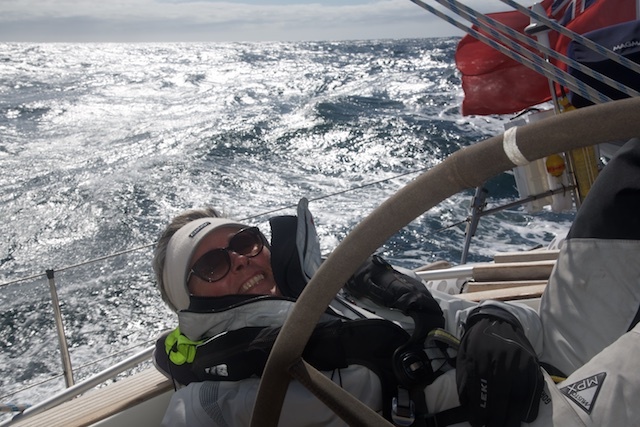 Further: Leg 2, 3 and 5 on HR342 I Dolci doing sail training on the south coast of England and north coast of Brittany, including the Channel Islands in between.